An official selection of films curated by the UN SDG Action Campaign to inspire SDG actors worldwide to scale up their action. Travel to distant corners of the Earth with the characters of this year’s Film Festival and find out the important role the SDGs play in their life. 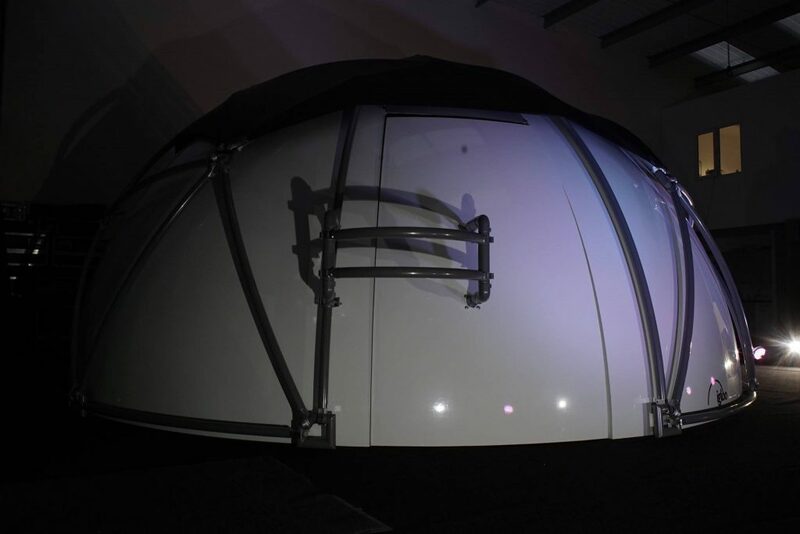 The program includes the immersive virtual reality experience “The Journey” at the Igloo Dome. The film follows the steps of three young people from Ethiopia, South Sudan and Chad through a blend of stereoscopic filming and animation. See the full program below! why is the environment so important to peace and security … With Ushuaia we went for a journey across Colombia just at the time of historic changes in the country and a historic peace agreement with the FARC to find out why. ‘The Journey’ is an innovative Virtual Reality experience produced with the support of UNICEF and the German Federal Ministry for Economic Cooperation and Development (BMZ). 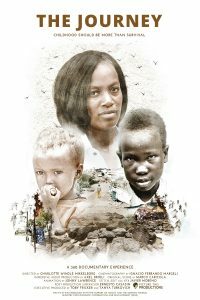 The film engages the viewer in three young lives, following their journey as they attempt to survive, thrive and prosper in three of the toughest environments across the world – Ethiopia, South Sudan and Chad. The story is told through different stages of childhood and youth. Amina, a 3-year old malnourished girl in remote Ethiopia receiving critical nutrition support to help her survive, Changkouth a 10-year old boy in South Sudan who has been reunified with his family, is learning again and recovering from the horrors of war and displacement, and Mani, a 19-year old in Chad, who is HIV positive and is connecting with her peers to change perspectives in her community and beyond. The film highlights how the support and opportunities provided at pivotal moments in their young lives can make the difference between life or death, the decision to flee or not, the chance to develop and progress, or be trapped in a vicious cycle of poverty and violence. Through a blend of stereoscopic filming and animation, the three key characters take the viewers into their world to understand the importance of those key moments that can change a life forever. 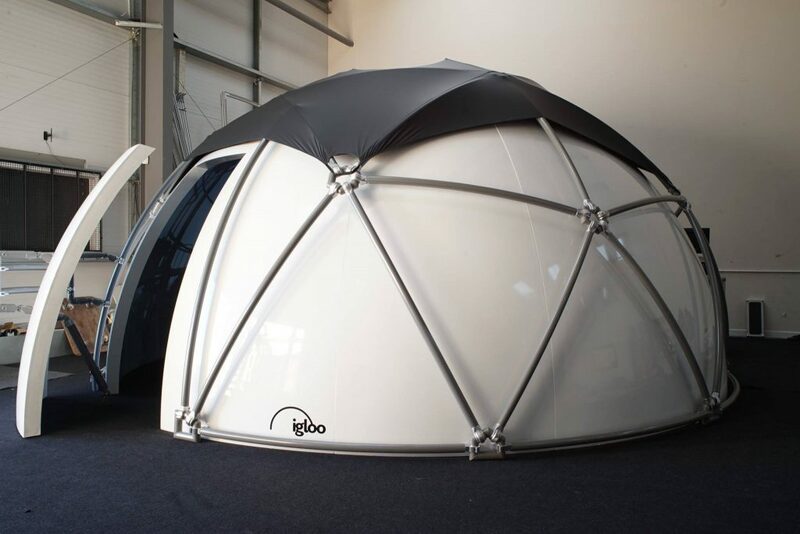 Don’t miss out and visit the Igloo Dome for this immersive experience. Singabantu is an Afrophobia Awareness video shot in the remains of a house in Rosettenville, Johannesburg, South Africa, that was set alight and burnt to the ground by disgruntled residents during service delivery protests that turned into Afrophobic attacks. The video stars a diverse group of African immigrant youth that share the daily plight they face being “foreigners” in South Africa. They name some common stereotypes associated with some African nations by South Africans and how they want to move away from these labels. The bigger purpose of the video is to ignite conversations about Afrophobia in South Africa and promote social cohesion. Afrophobia in South Africa goes far beyond some slurs and sporadic victimization, the institutionalized limitations for some African immigrants intensifies their socio-economic issue. Many issues surrounding their plight need to be brought to light and discussed in order for the situation to improve. The video was created by Sophie A Kanza Foundation co-founded by DRCongolese sisters Sophie and Louise, migrants living in South Africa. In 2017, a group of young leaders from small island states on the front line of climate change and marine degradation joined Peace Boat’s 95th Global Voyage as a part of a new programme to raise awareness of SDGs 13 and 14. These young women and men, between 19 and 26 years of age, were from the regions of the Pacific Ocean, Indian Ocean, and the Caribbean. Over the following three weeks, they travelled by ship from Barcelona to Lisbon, Bordeaux, London, Edinburgh, Reykjavik and New York. They connected with civil society organizations and government agencies sharing the experiences from their communities and bringing their message to citizens and government representatives throughout the voyage. The film portrays their experience travelling with Peace Boat, a Japan-based non-profit organization that works to promote peace, human rights, equal and sustainable development and respect for the environment through global voyages. The ship carries the Global Goals Logo on the side of its hull, raising awareness about the fragility and vulnerability of the small island states and the importance of SDGs 13 and 14 to these island communities. Ami, Amer Ma is a short-film documentary presenting the personal stories of 5 daughters of garment workers aged between 7 and 15, compiled over 4 days in March 2017. It seeks to address two problems: first, the issue of supply chain transparency (SDG 8); and second, the need for empowerment of women and girls (SDG 5). First, since the Rana Plaza factory collapse in April 2013, the deadliest garment factory accident in history, global businesses have pledged to better working conditions – but action is not followed by rhetoric. These stories told by daughters of garment workers are often overlooked when it comes to our understanding of the impact of fashion consumption. Second, the gendered division of labour meant that these girls were missing out on education. Moreover, Bangladesh has the highest rate of marriage involving girls under 15 – 52% of girls are married by their 18th birthday, and 18% by the age of 15. Having the girls as the directors of the film, as well as the protagonists of the film, allows viewers understand the challenges in their lives. While lots of stories have been told about the garment sector in Bangladesh by journalists, few initiatives place the power of storytelling into the hands of the people. Recent technological advances also made it possible to produce a high-quality film using only iPods or smartphones at low cost – which made this project possible. The impact of this project is three-fold: emotional empowerment, economic empowerment, and advocacy. As thousands of men, women and children attempt to get into Europe, this twenty-minute film follows a comfortable English family who experiences a life-changing journey of their own. Theirs is one harrowing story among millions, as each displaced family has their own. The refugees that have fled into Europe, like us, are mothers, fathers, daughters and sons. They have left home, their lives devastated and now each searches desperately for safe shelter and a chance to rebuild their lives. Take away the politics and what you are left with is families who are the same as ours. No one should be denied safe passage, shelter or aid. It is no longer a secret that plastic waste is posing a threat to our oceans. The problem is not only the visible pollution: dirty beaches for example. Microplastics – tiny little pieces of plastic – almost invisible, are even more dangerous. It floats in our oceans and gathers in gigantic garbage patches. And from there it finds its way into the food chain. Adventurer and filmmaker Craig Leeson has tracked down plastic waste to get to the bottom of the problem. He connects our consumer behaviour with ocean pollution and asks the crucial question: What must we do to save our oceans? Off the coast of Mozambique, a pristine and dazzling treasure chest awaits—one of the oldest coral reefs of the planet. But this paradise of biodiversity is under threat. Coral bleaching is a warning sign of global warming. VAMIZI takes us into the fascinating world of coral reefs and shows what we can protect by establishing “hope spots”. The biggest impediment in Nigeria for achieving the SDGs is corruption. It has led to total breakdown of systems, society, ethical and moral values. The dream of a sustainable nation is impossible until corruption is proactively destroyed; hence the creation of Creative Youth Initiative Against Corruption (CYIAC) to tackle the menace. The CYIAC strategy is channelled towards sustainable corruption prevention, with clear goals: working towards achieving SDGs in 2030. The documentary featured how the story began in 2012 on the platform of the Vision of the Child (VoTC); three years before the SDGs were developed. It chronicled the journey from Creative Lab to the Cinema through active engagement of children and youth to transform our world with the tools of education and creativity. The documentary thus details the importance of promoting the SDGs through creative development and innovation in achieving global goals. Corruption “the Musical“ (CTM) is an anti-corruption awareness campaign targeted at the general public with a view to drawing their attention to corrupt practices associated with their everyday life and its unimaginable negative impact on individuals and society. CTM depicts habits that pervade Nigeria: favouritism, diversion of aids and relief materials for personal gain, the sale of fake drugs, poor health system, deplorable education systems, gender discrimination, poor sanitation systems, cybercrime and vandalisation of oil pipes amongst others. CTM echoes the eagle eyes of Creative Youth Initiative Against Corruption (CYIAC) which have been positioned to creatively rid Nigeria from all acts of indiscipline that have eroded the culture of integrity over the years. It thus warns the perpetrators of nefarious acts of indiscipline to move from corruption to correction so as to restore the nation’s dignity. The main highlights of CTM are the fixers- the SDGs, if embraced and promoted will curb the menace of corruption and promote Global Goals to achieve UN Agenda 2030. The theme song was sang and performed by an upcoming young Nigeria Afrocentric artiste –Adegboyega. CCB-Hands on Canvass, an animation movie series designed to expose the ills of corruption thereby achieving a culture of integrity and community free from corruption. The poetry was written and painted by a teenager and CYIAC award winner- Anjola Olarenwaju. She narrated how corruption had eaten deep into different sectors of Nigeria economy; and the effect of corruption on education, health, employment, transportation, finance, security, aviation, and agriculture. Each representation on the lush green farmland in her painting tells the story of Nigeria; the birds, the stunted trees, image of a woman, a tree of corruption, the tunnel and the sun. As the country is empowering and making attempt to give life to new industries and sectors, the corruptors in three arms of government are sucking up the nutrients meant for these new industries, until the land became deprived. The Corruptors are big and untouchable whilst the farm is dying. The sun represents CYIAC on a rescue mission to save the soul of Nigeria, which will eventually bring sanity to the nation. Reclamation chronicles the transformation of a dysfunction, plagued and corrupt nation into a prosperous Land- A Nation with dignity. The story line was put together by boys and girls – The CYIAC Integrity Ambassadors whose paintings were innovated into CCB-Reclamation Animation Movie Series. The paintings narrated the agony, pains, suffering of the people, whose major problems are leadership and corruption. The Nation is under siege, plagued by the disorder of a failed system that has fallen into the abyss of a sad future. The Nation where killing, abduction and terrorism are the order of the day! The narrative began with catastrophic conditions of the communities… it metamorphosed into a nation boom into a future of infinite potentials where wishes finally become reality through youth engagement to transform our world. Reclamation is the future that the young generation must experience hence the promotion of SDGs to achieve a prosperous nation free from corruption. 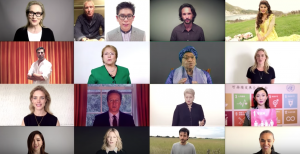 A new plan for people and planet has launched – the Sustainable Development Goals. Tell everyone! PPAP doesn’t just mean Pen-Pineapple-Apple-Pen anymore. In collaboration with the Japanese Foreign Ministry, Japanese comedian Piko Taro has adapted his hit song to raise public awareness of the United Nations’ sustainable development goals (SDGs). The original became a viral sensation Justin Bieber tweeted that it was his favourite video. In its updated lyrics, the song explains that PPAP stands for “Public-Private Action for Partnership”. Titled “SDGs”, it refers to the 17 sustainable development goals adopted by the UN in the 2015 summit, where global issues such as gender equality, climate change and zero hunger were identified for future action by the international community. At the 2017 UN High-Level Political Forum, Piko Taro accompanied Japanese Foreign Minister Fumio Kishida to New York, where the “SDGs” version of the song was performed for a Japan-hosted reception at the UN headquarters. Prime Minister Shinzo Abe heads the SDG promotion headquarters, which was established in May 2016, to ensure a whole-of-government approach to implementing the UN’s 2030 Agenda for Sustainable Development Goals in a comprehensive and effective manner. 2018 UN SDG Awards Winner Ashan Perera, Roads to Rights.